Throughout the month of April, Channel One will be airing our series on Climate Change. I asked reporter Keith Kocinski to give us some insight on the series about who we’ll hear from, what we’ll see and what students can expect to learn. CJ: What angles of the climate change story will this series cover? Keith: We travel to the Arctic, considered “ground zero” in climate change because the earth is warming much faster there and scientists can study the melting sea ice and glaciers that are contributing to climate change. I also look at how climate change could be affecting our weather. Scientists believe that climate change is linked to more extreme weather events including droughts, heatwaves, flooding and heavy precipitation. Researchers are examining whether climate change is affecting hurricanes and tornadoes. Then, Maggie Rulli looks at how climate change is impacting our water and our land. Arielle Hixson examines the impact on our food supply, and Tom Hanson looks into how climate change is affecting our health. I traveled to Canada and Greenland in the Arctic, spent two weeks chasing tornados through the tornado alley, walked through a dry lakebed in California, stomped through the record snowfall in Boston, and flew through the eye of a hurricane over Bermuda. Maggie Rulli visited Lake Powell on the Utah-Arizona border, as well as met with the first U.S. refugees of climate change in Louisiana. Arielle Hixson visited avocado orchards and dairy farms in California. What experts did you interview? We interviewed a variety of experts at the top climate agencies including the National Oceanic and Atmospheric Administration (NOAA), NASA, as well as climate scientists and weather experts. Give students a little insight: How do you start your research? How do you find the right experts to interview? And how do you prepare for those interviews and know what to ask? I started my research by reading climate change studies and news articles. I called the leading experts in climate change science and asked them about how climate change is affecting Americans right now and in the near future. I worked with my Executive Producer and Senior Producer to come up with ideas for how to shape our series and connect the dots between all the scientific research and its impact on young people. I can’t emphasize enough how important this story is to the younger generation. We will be living with the impact of climate change. Depending on what scientific model you believe, climate change will have a significant impact on our lives — possibly even catastrophic if we don’t act now. Whenever Channel One News covers climate change, we get a few comments from people saying that we haven’t covered both sides of the story — for instance, those who say that climate change isn’t here or isn’t caused by human activity. How do you respond to those comments? We respond by providing the research and evidence we used in our stories. Between 97-98 percent of scientists who study climate change agree that human activity is causing our earth to warm and changing our climate. The debate is really by how much it’s changing and just what that means for us. Thanks, Keith! And everyone, tune in for the series, airing April 4, 5 and 6, and the weeks of April 11-15 and 18-22.
there is a such thing as climate change. Really, teachers are brain washing these kids about climate change, how old are they like six? Driving these little electric cars isn’t gonna make this whole climate change better, it’s gonna make things worse. Get in a wreck with a little car like that, you will see a whole lot more people getting killed. And also the season right now in Antarctica is summer. Doesn’t it get hot in the summer? Really? Commonsense people? why would scientist turn down global warming anyways, when its padding their pockets. Dear Channel One, for two weeks we’ve been watching your series on climate change. 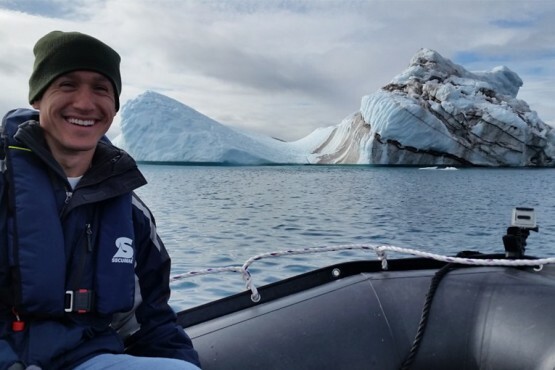 we loved seeing your visit to the arctic, however why don’t you do a reporting from the antarctic? Based on NASA’s recent reporting it shows the gain of ice in the antarctic makes up for the loss of ice in the arctic. We wish you would report and represent both sides of the the idea of climate change. In your recent blog post you said 97-98 percent of climate change scientist agree that climate change is a problem, of course they believe its a problem, if they didn’t then they wouldn’t have a job to do (researching it). when you say that climate change has been happening for thousands of years wheres the evidence? We only have historical documents dating back about 8,000 years. We also wish you would present to the viewers the idea of climate cycle, which would show we don’t cause a problem with the climate. We suggest that you should sit down and report a scientist who thinks climate change is not a problem and have them show their evidence(s) Hope you will consider these ideas for more fair and balanced reportings. If all life on this planet is interrelated and interdependent then how could it be impossible for humans to have an impact on the living systems of Earth? The more humans, the more impact. We have been watching your segments about climate change for the past two weeks. We like the way you all have went to so many different locations to talk about climate change. But how come you get your information from climate change experts, and not the other types of scientists? In order for your segments to be more fair and balanced, you should talk to scientists who have different views on climate change. For the past two weeks, we’ve been watching your segments on climate change. Thank you for taking your time to make the videos and for showing us the different parts of the world that are affected. But overall your segments give us only partial of the evidence. To make it fair you should interview people that disagree. For two weeks, I’ve been watching channel one about climate change. On one of the episodes, you did a segment in the Arctic and I was able to see what a glacier looks like and I’m glad I could. But, you didn’t go to the Antarctic and do a segment there. The only evidence you gave was the Arctic was melting. Why didn’t you give evidence that it is just a climate cycle, not climate change? We have been watching this climate change series for more than 2 weeks. I thank you for showing the beauty of the Arctic and the glaciers in the world. But why do you only show one side of the climate change controversy. Have you considered the possibility that rather than climate change it is a climate cycle? Even though the North Pole is losing ice the South Pole is gaining ice as reported by NASA. How can you say climate change is a scientific fact when it does not follow the scientific method. Also, why should we spend so much in the new climate change deal when we are $20 trillion dollars in debt. About climate change how long will this go on for. I think that for after all these droughts are from the climate change and the artic melting that and the heat waves that have come from global warming and climate changing I feel that more people should go study it more!!!!!!!!!! There is no such thing as climate change. If you are talking about the world you need to also identify what is happening in Antarctica. See the following NASA article. NO!!!! What is causing global warming is the fact that the sun is getting bigger, and closer. That causes it to be more hot along with the fact that too many cars are being driven. We should stop climate from changing or else there will be a population crash in the Arctic just because it’s melting. to stop the climet chaneg is to not drive alot ride more bikes.